Have you ever rubbed a balloon against yourself and then make it stick to a wall or other object? That is the basic idea of how electrostatic painting works. The rubbing of the balloon causes it to obtain more free electrons, which takes on a negative charge. The negatively charged balloon now will stick to neutral or positively charged objects. Just like with magnetic fields, two objects that are oppositely charged will attract each other. This scientific truth is the core of electrostatic painting, which uses electrostatic fields to paint metal objects quickly, efficiently and with practically no cleanup. This type of painting works best on all kinds of metal. 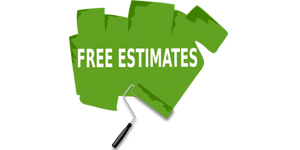 It is by far the most efficient way to paint wrought iron fencing where the traditional brush and roll would be much more time consuming and messy. Because the paint is magnetically drawn to the surface to be painted, items such as railings can be painted from one side and the paint will wrap around to the other side. Electrostatic painting is a great way to save paint, money and the help the environment. 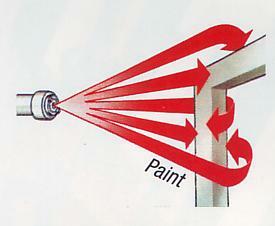 At the tip of the paint sprayer is a small electrode, which creates high voltage electricity. As the paint particles travel at a slow speed through this corona of electricity, they become negatively charged. The paint surface is the grounded, negatively charged surface, which has a magnetic attraction to the positively charged paint. 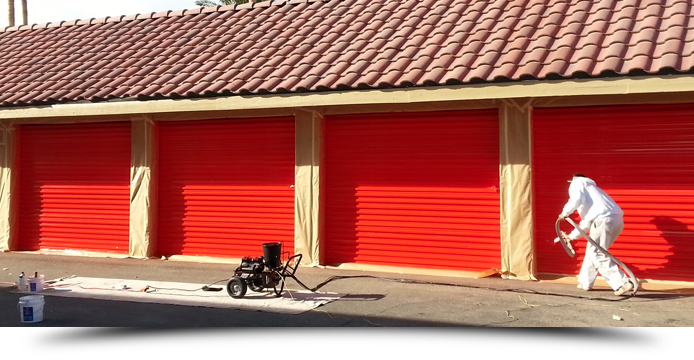 Saving of paint and labor costs. Expect to use 25 to 50 percent less paint. In a big job, that is a lot of paint and money saved. There is less waste, which is great for the environment. There is very little overspray to clean reducing project time and labor costs. The paint coverage also has a very nice, smooth look & finish.